My son is going through what some people call his ‘3nager’ stage. This translates to at times him refusing to do what he is told for no reason that we can gather other than that he doesn’t want to do it. 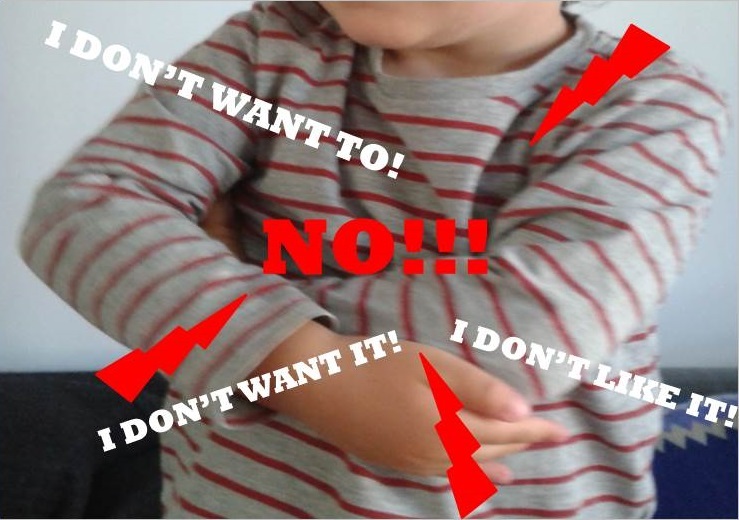 When I say refusing I mean ‘shouting, sulking, crying, and being generally petulant.’ Occasionally this can make for fun and games when I’m trying to get him to nursery on time and have to take the baby too. When he is in this kind of low mood he simply refuses to do comply with what is asked. When you need to get him dressed he is very good at making himself into a dead weight so it’s almost impossible to make him and if you do you are in for quite a few kicks. What I’m learning is as, as quickly as these thoughts of ‘I don’t want to’ come they also pass, once his thoughts change to something else. So for 10 minutes he can be refusing to get dressed and you leave him in his room to sulk and suddenly he changes his mind. – Or he refuses to have his breakfast and while sulking he spots you eating yours and asks to try some and before you know it he has changed his mind and starts eating his. I think we can learn a lot from this not only in terms of parenting but more pertinently for ourselves. If we asked a toddler why he was in a mood they wouldn’t be able to tell you. They are just in a bad feeling. From my understanding this is the same for adults – the difference is that we often innocently attach meaning to our moods so think they are because of a given situation rather than just because we are in a bad mood. – If we could be like a toddler and just let this pass and be open to the next thought that comes in that may be more positive or just of a different nature than we have the potential to come out of our moods as quickly as toddlers do. – But if on the other hand we feed our moods with more negative thinking then they tend to stick around. ← Can Being In A Bad Mood Lead To Inner-Peace?